Ben Schwartz is Sonic The Hedgehog! Next year, Sega’s video game icon, Sonic the Hedgehog, is getting his own feature film for the first time. Now, the voice of Sonic has finally been found. 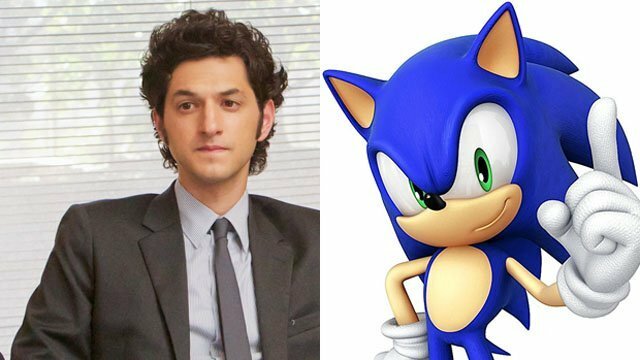 Variety is reporting that House of Lies star Ben Schwartz has been signed to portray Sonic. Schwartz’s previous credits include Parks and Recreation, How to Be a Latin Lover, and the upcoming film, Night School. Schwartz also voices Dewey Duck on DuckTales, Leonardo in Rise of the Teenage Mutant Ninja Turtles, and he was a “vocal consultant” for BB-8 in Star Wars: The Force Awakens. Earlier this summer, Jim Carrey was tapped to portray Doctor Robotnik/Eggman, Sonic’s villainous rival. The Sonic the Hedgehog movie will feature a mixture of CGI animation and live-action characters, including Carrey’s Eggman. James Marsden has been cast as Tom Wachowski, a police officer who teams up with Sonic to thwart Eggman’s evil schemes. Tika Sumpter and Natasha Rothwell have also been cast in currently unrevealed roles. Deadpool director Tim Miller is executive producing Sonic, with Jeff Fowler attached to direct the feature. Production of the film reportedly began in Vancouver last week, and it’s set to continue through the end of September. The exact plot of the film is unknown, but it’s production title is said to be “Casino Night,” a callback to a level in Sonic 2. Paramount Pictures will release Sonic the Hedgehog on November 15, 2019. Are you excited about Ben Schwartz’s upcoming turn as Sonic? Share your thoughts in the comment section below!